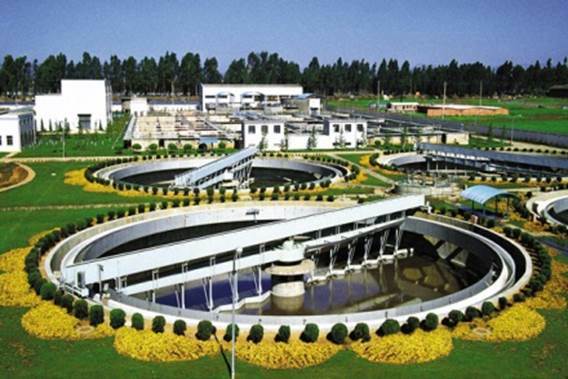 Valmet will deliver total solids online measurements to Shanghai Shidongkou wastewater treatment plant in China. The measurement solutions will enable the plant to reduce laboratory sampling as well as gain polymer, energy and other cost savings. The order was included in Valmet's fourth quarter 2016 orders received. The devices will be delivered in March 2017. Valmet's delivery consists of five Valmet Total Solids Measurement (Valmet TS) units. 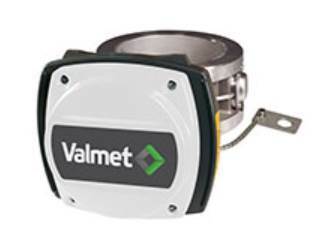 "Valmet's measurement is a reliable online solution. Devices will be installed in Shanghai Shidongkou wastewater treatment plant's feeding and outlet pipe of the dewatering machine. They will enable the wastewater treatment plant to save on polymer dosing and monitor dryness of the dry cake," says Gu Jianhua, Design Manager at Valmet's local distributor Zexi Environmental Protection Co.
"Based on several successful references in China, we are confident that this innovative technology will offer reliability to the end customer in optimizing wastewater treatment plant operation," says Kevin Li, Channel Manager, Automation, Valmet. Valmet will deliver an online Valmet Total Solids Measurement (Valmet TS) to Shanghai Shidongkou Wastewater Treatment Plant in China. One of the Valmet TS units will be installed before sludge dewatering machines for polymer dosage control and four units will be installed after them for dry cake measurement. Valmet Total Solids Measurement (Valmet TS), based on microwave technology, is a reliable and accurate meter for all wastewater sludge treatment applications (0-40% total solids), providing savings in energy, polymer dosing, and transportation. Valmet Total Solids Measurement (Valmet TS), based on microwave technology, is a reliable and accurate meter for all wastewater sludge treatment applications (0-40% total solids. Established in 2001, Shanghai Shidongkou is located north of Shanghai, China. With a capacity of 400,000 tons per day, it serves a population of about one million people. Valmet's net sales in 2016 were approximately EUR 2.9 billion. Our 12,000 professionals around the world work close to our customers and are committed to moving our customers' performance forward - every day. Valmet's head office is in Espoo, Finland and its shares are listed on the Nasdaq Helsinki.